From June 2017 to September 2018, the Pharmacy Guild of Australia undertook a major strategic planning project to help secure the future of community pharmacy to 2025 and beyond. 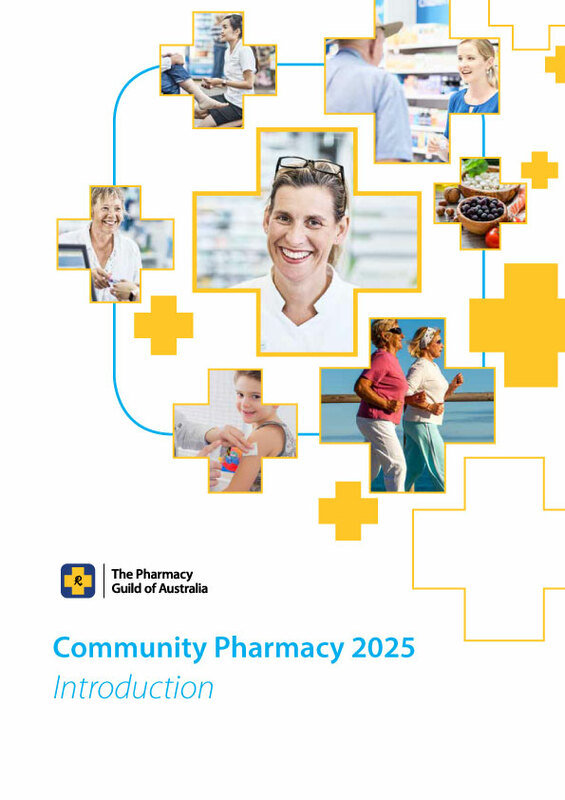 Community Pharmacy 2025 (CP2025) enables the Guild to develop a vision to enable community pharmacies to have a viable, longer-term future as an integral part of the Australian health care system serving the needs of increasingly empowered health consumers. The project sought the input, ideas and feedback from pharmacy owners, their staff and patients, as well as industry stakeholders, about how they see the future of community pharmacy. The project considered the key political, economic, health, technology, regulatory, professional practice, workforce, business and consumer trends impacting community pharmacies. It has been informed by qualitative and quantitative market research, subject matter experts and a strategic advisory firm. At APP2018 and Pharmacy Connect 2018, the National President of the Pharmacy Guild of Australia, discussed the CP2025 project, which is creating a vision and roadmap for the future of our sector. The project, led by the Guild's National Council, includes market research with patients, owners, students and staff. We've engaged with over 150 stakeholders to get an understanding of what they want from our sector in 2025. You can read the report from our strategic advisers, Pottinger, by downloading the Strategic Issues Report as above (September 2018). Orima Research conducted iterative qualitative and quantitative research with patients, owners, pharmacy staff and pharmacy students between late 2017 and July 2018. All market research has now been completed and a report is available for members to download as above (September 2018). To speak to a Guild about CP2025, please email CP2025@guild.org.au in the first instance and identify which sector you represent and we will follow up to discuss further. For membership enquiries, we recommend getting in touch with your local branch membership manager.